Sophie Tschumper (later, married Fred Truempi) with Irene Von Arx and Irene's first cousins (children of William and Emma Von Arx). Possibly Marguerite, Jacob and Helen? 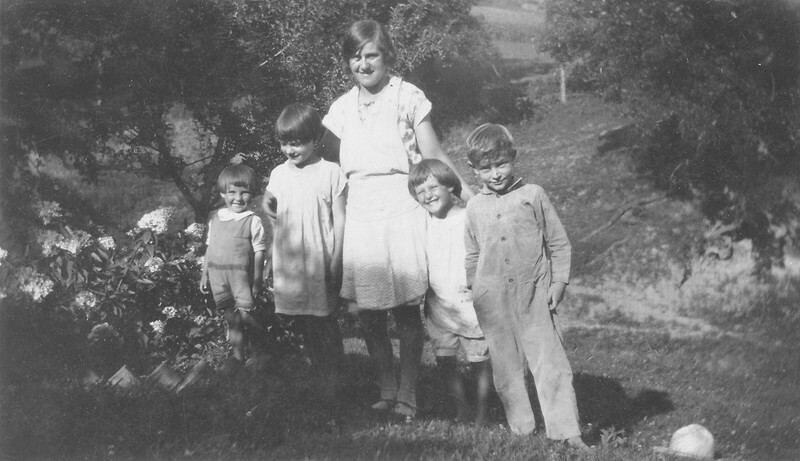 Sophie Tschumper (later, married Fred Truempi) with Irene Von Arx and Irene's first cousins (children of William and Emma Von Arx).